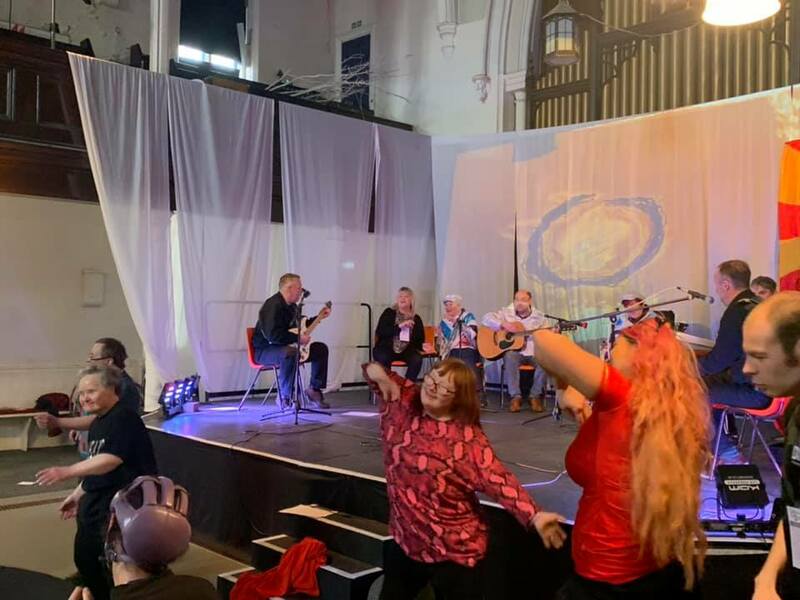 We were joined by some fantastic groups and individuals for our 13th annual Come On Down festival. 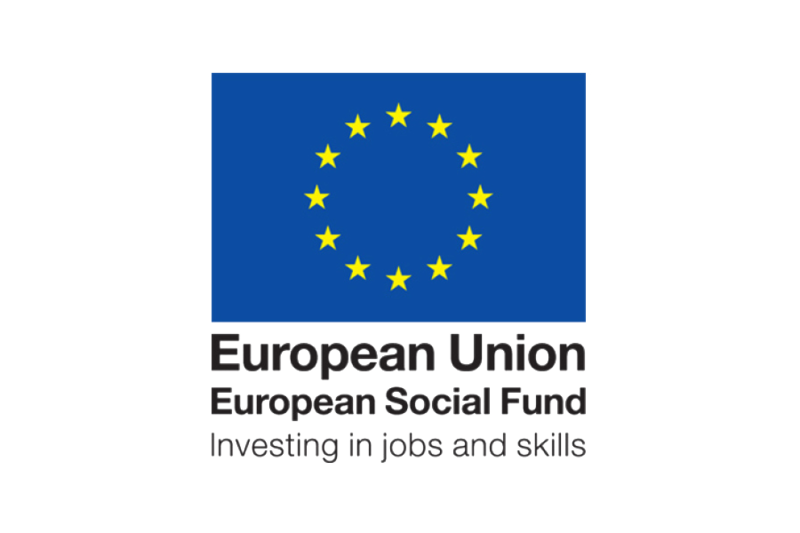 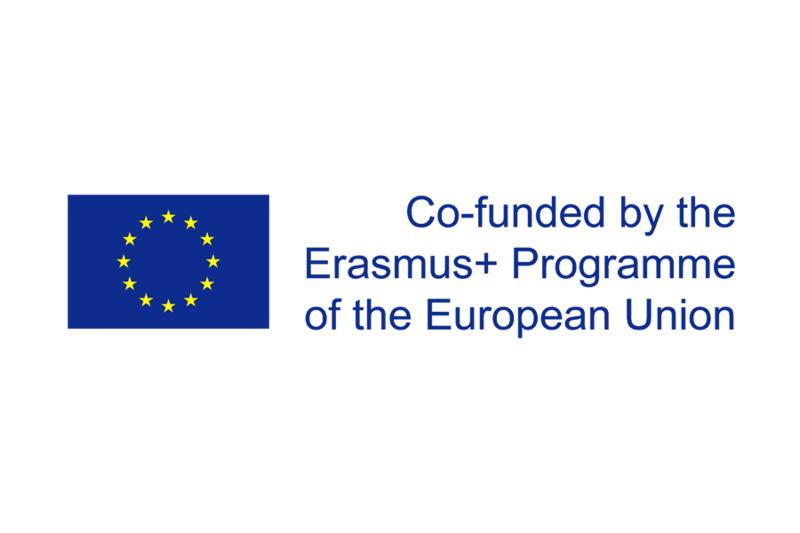 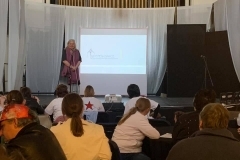 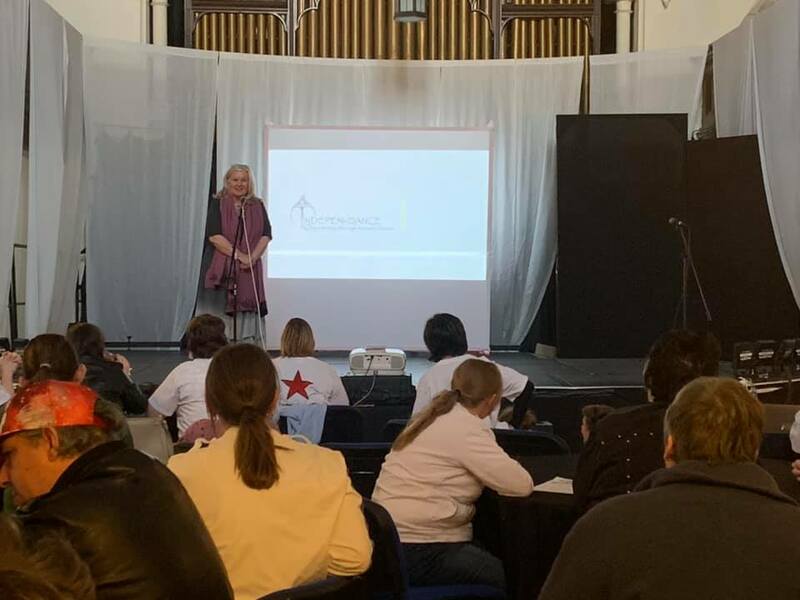 The spirit of this event is about sharing our work and supporting each other – so thank you to everyone involved and for your wonderful contribution. 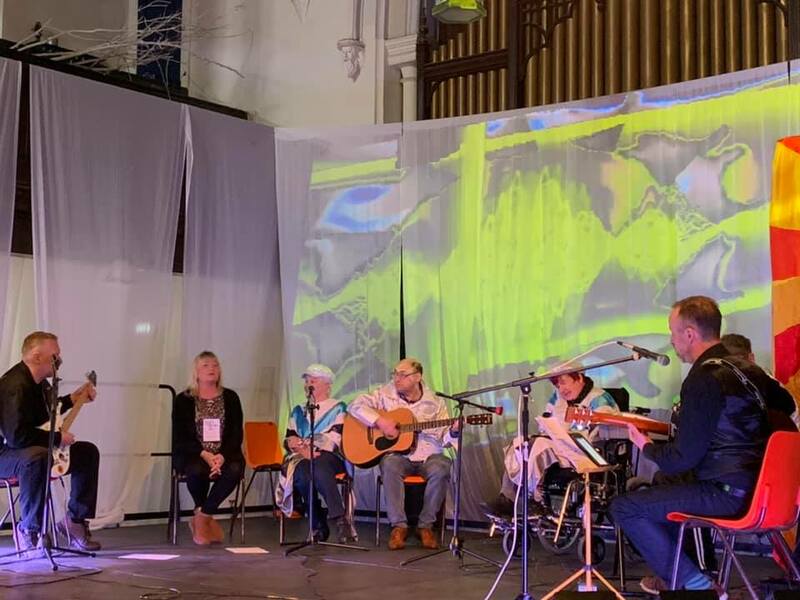 Come On Down Festival 2019 started with Young People’s Day. 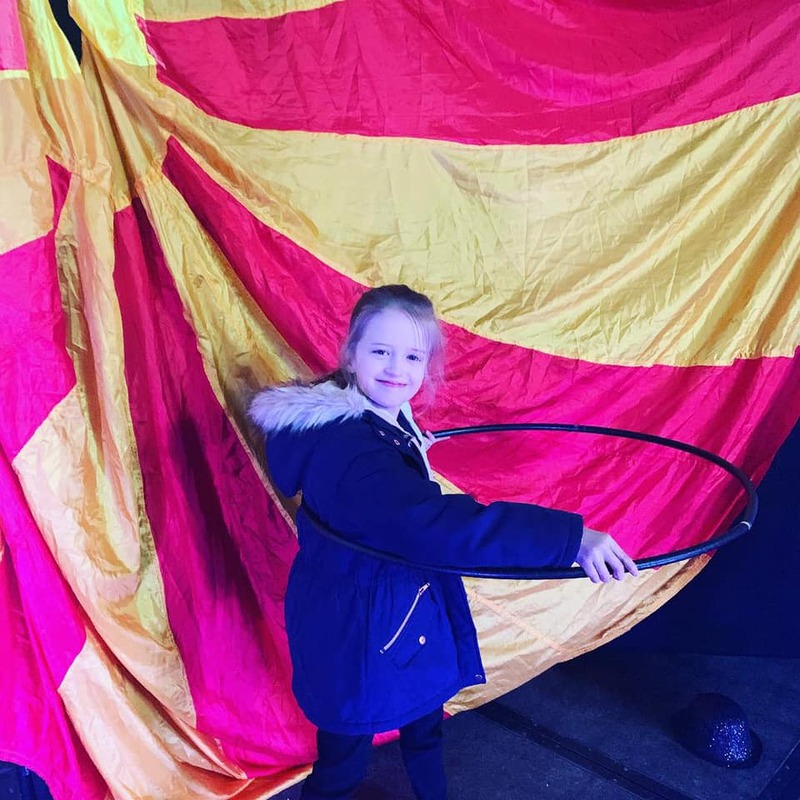 We were joined by young people from Cleaswell Hill School, Barndale House School, Hexham Priory School and The Dales School. 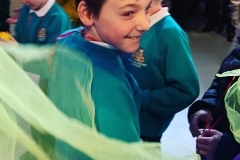 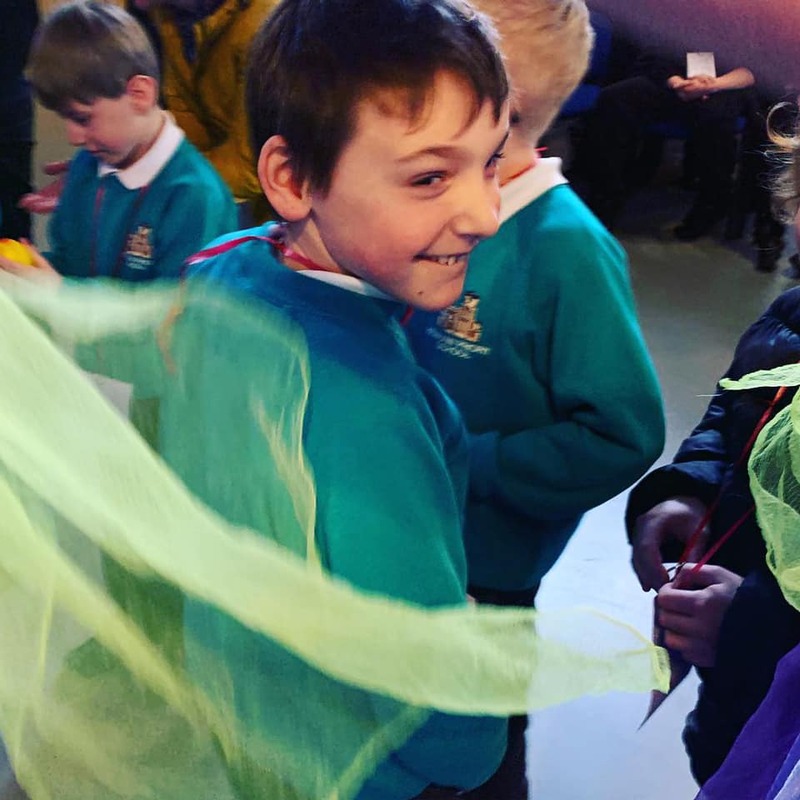 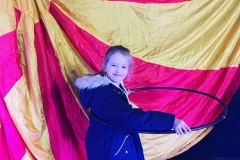 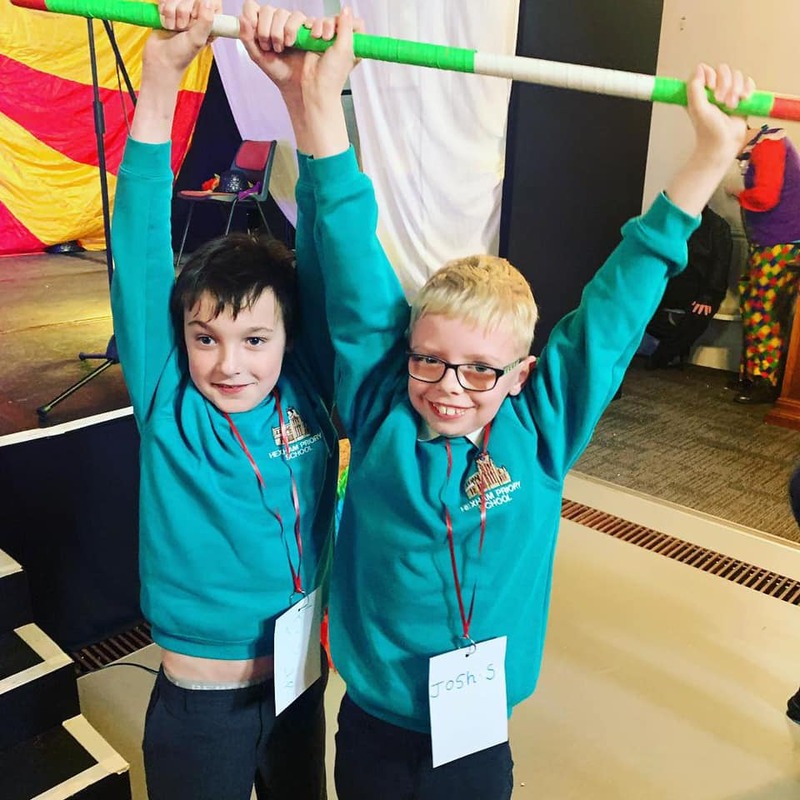 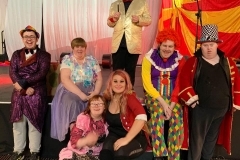 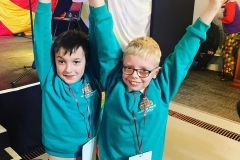 The pupils watched The Stars perform Enchanted Circus and then participated in a workshop where they had the opportunity to learn some of the skills shown in the performance through dance and circus techniques with associate artist Penella Bee. 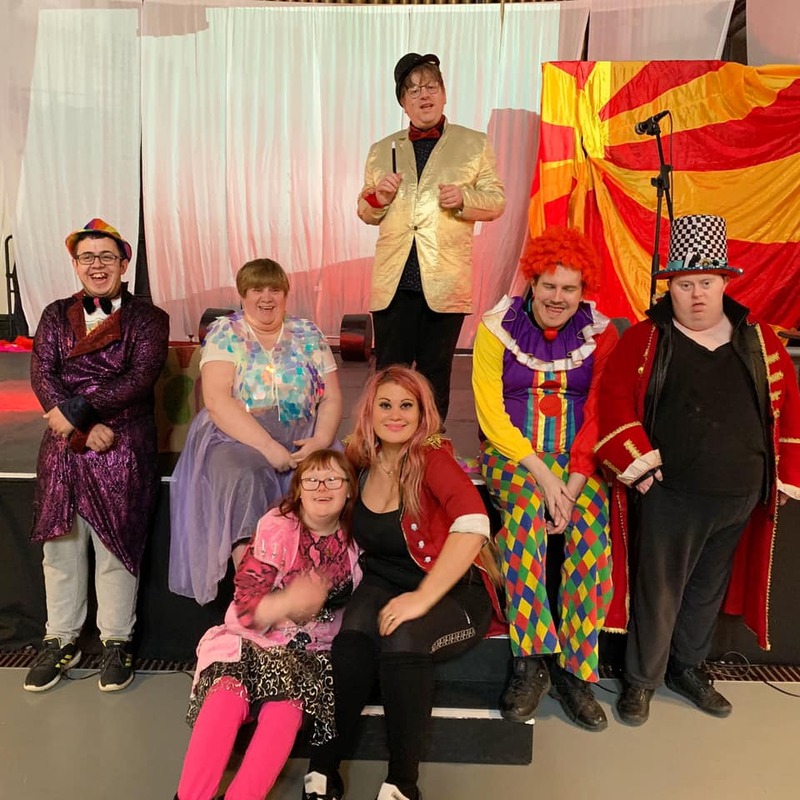 The day started with The Stars performing Enchanted Circus with new adaptations to movements, dances and choreography with Penella Bee. 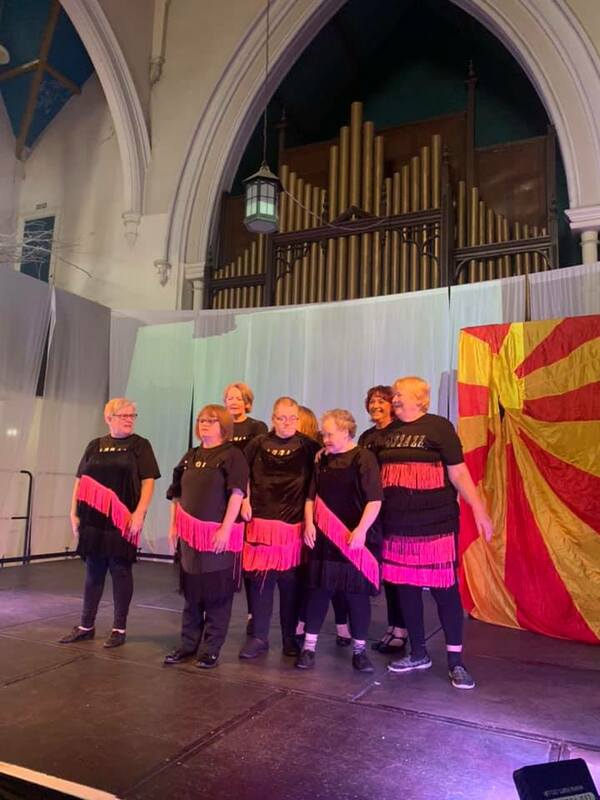 We then had a vibrant and upbeat performance by Pazzazz Dance Group from Mowbray Day Centre who got the audience up on their feet! 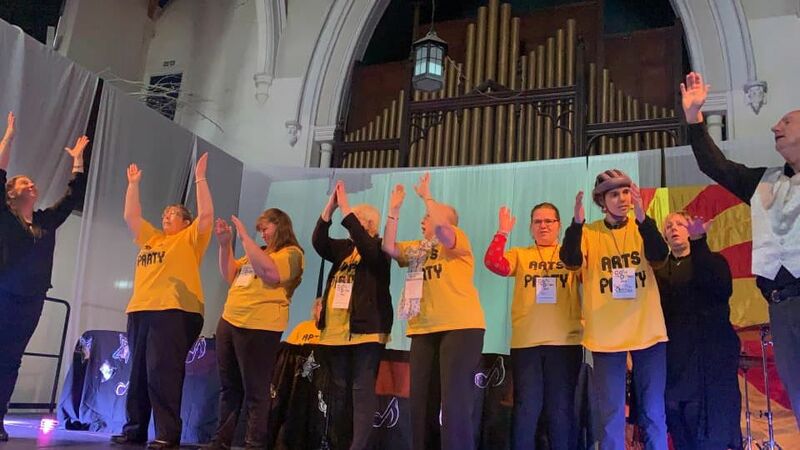 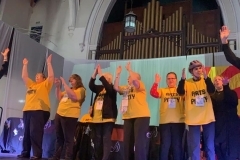 Pottergate Centre Alnwick took to the stage and performed using their hands to coordinate and tap along to the rhythm of music. 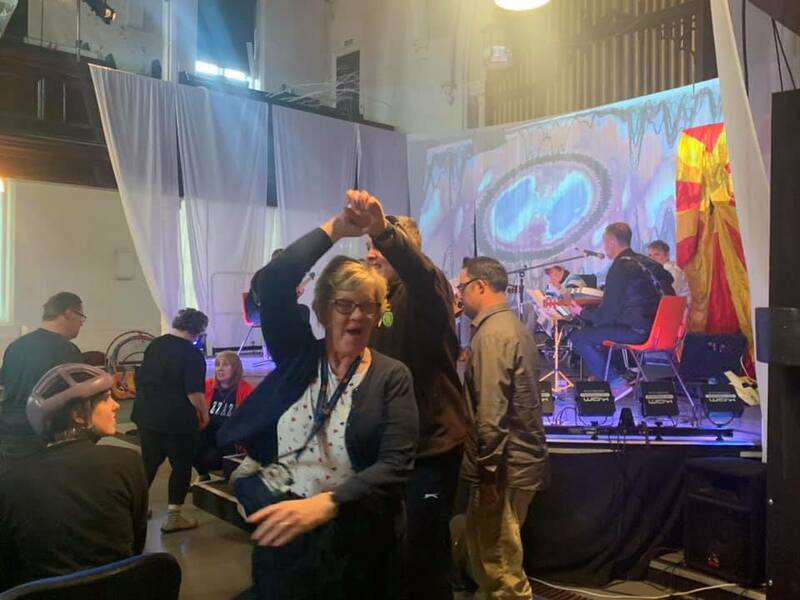 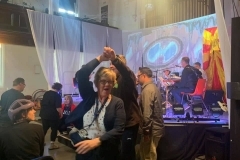 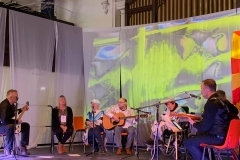 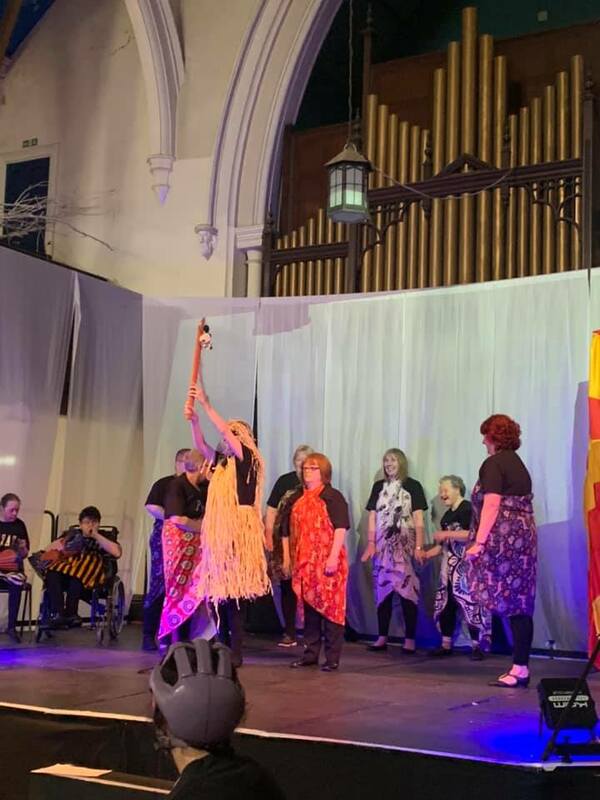 The audience were back on their feet for Riverside’s performance of Yabba Abba Do, a selection of seventies classics using a range of musical instruments and a sound beam. 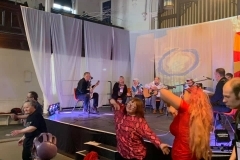 The day ended with the fabulously entertaining and much anticipated game of Come On Down where people had the chance to win the very best tat the North east has to offer! 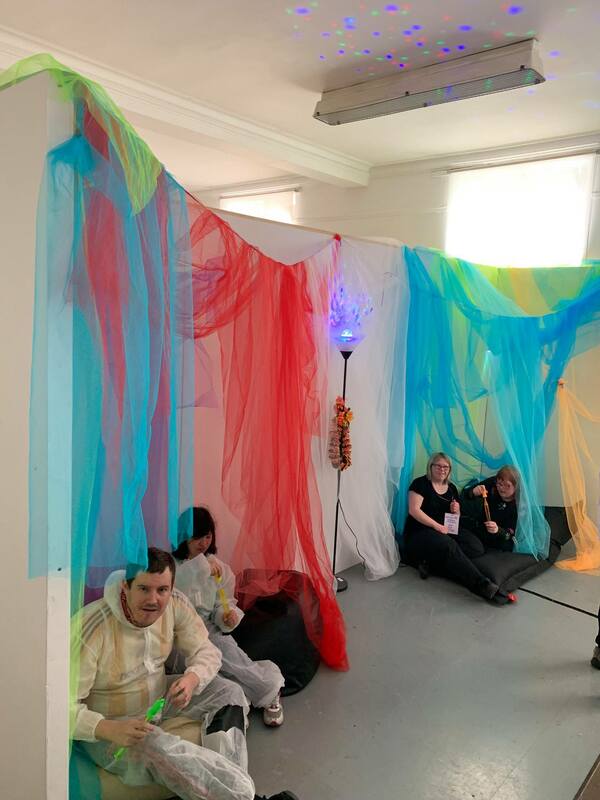 On day three of Come On Down we were joined by Gateway into the Community, Pottergate Centre Alnwick, Little Cog , Indepen-dance, and FilmAble. 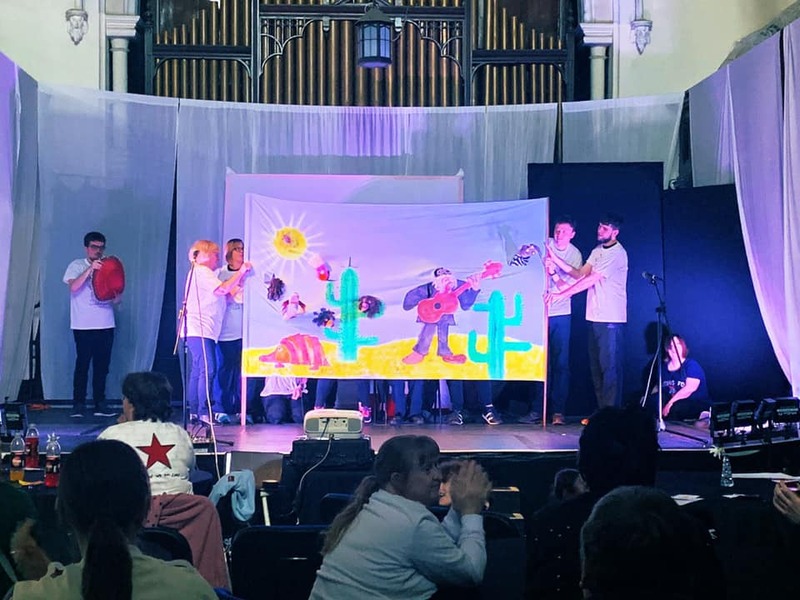 Each act brought something different to the festival including film, performance art, acting, dance and music. 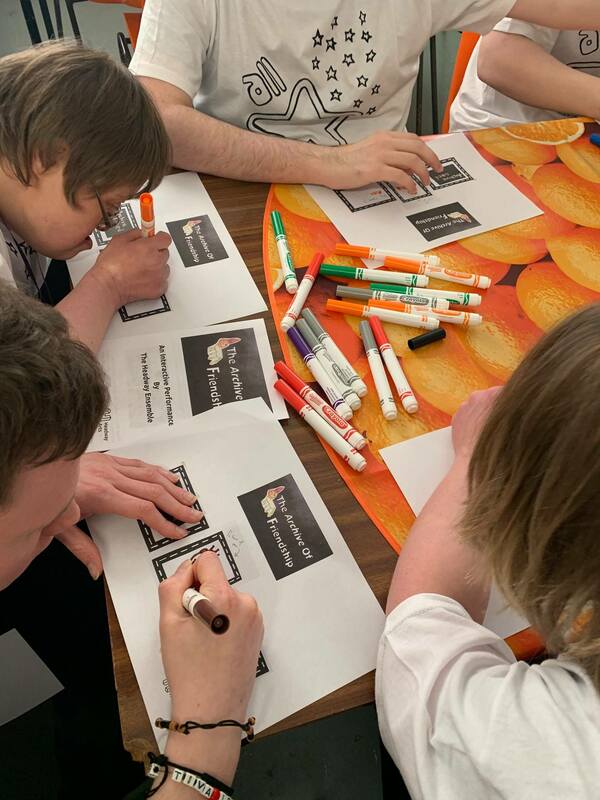 Hepscott Horticultural Unit also came along to display and sell some of their beautiful potted flowers. 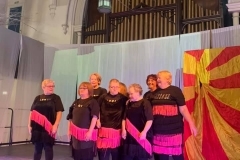 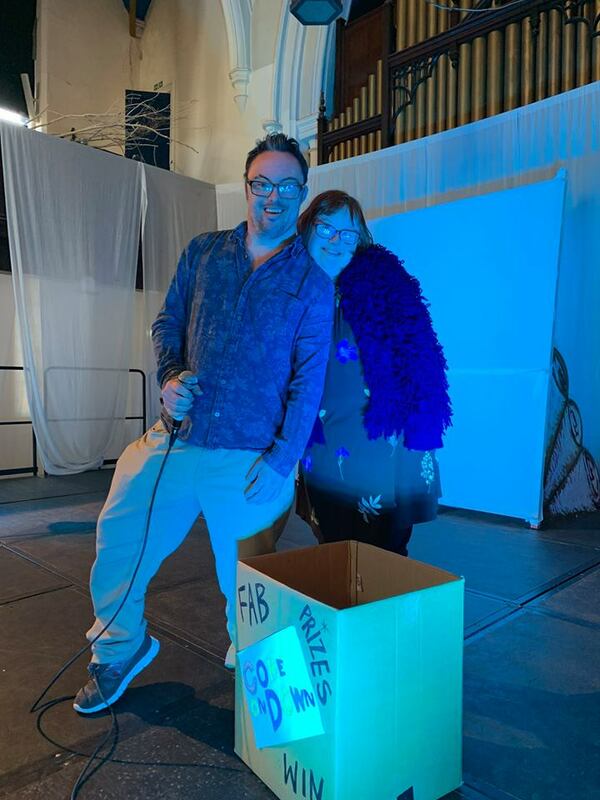 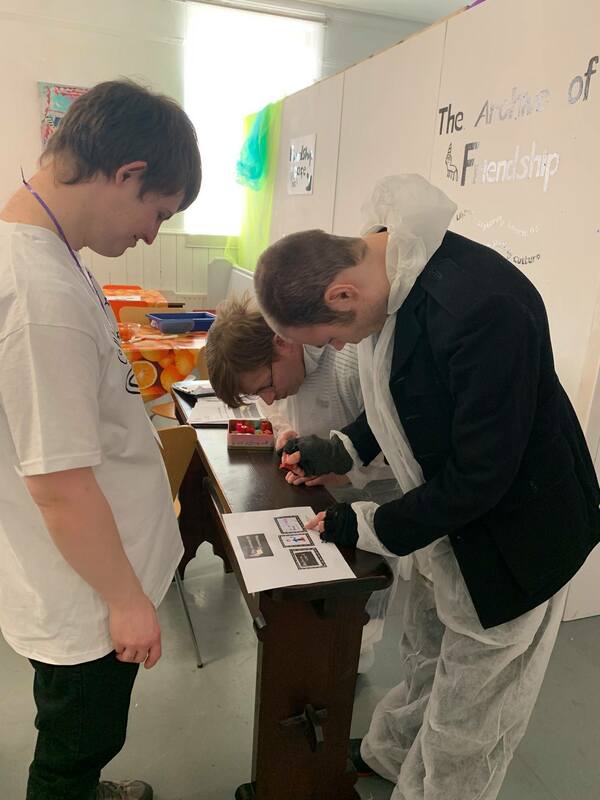 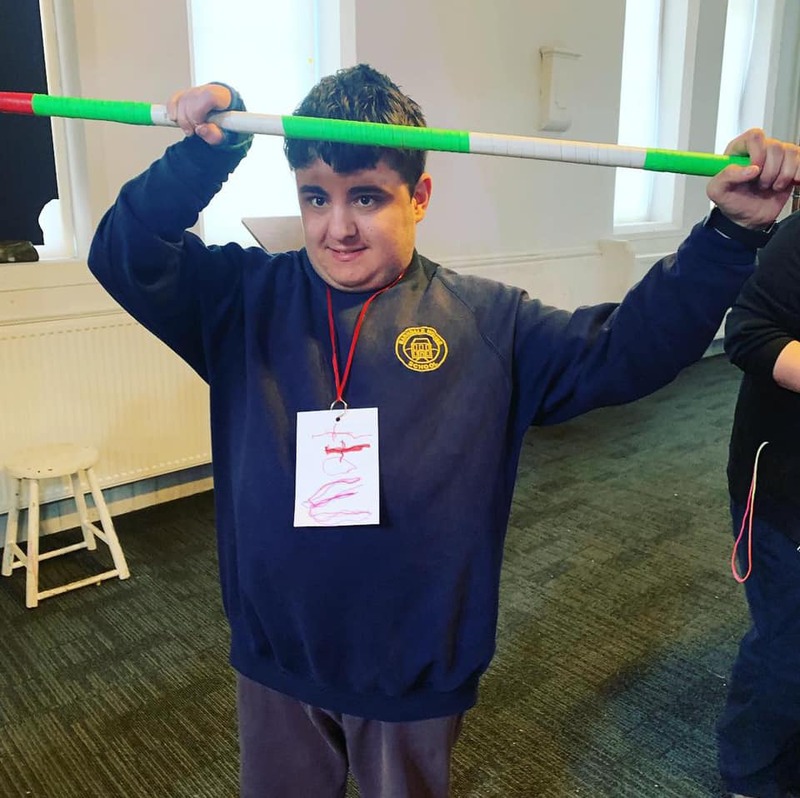 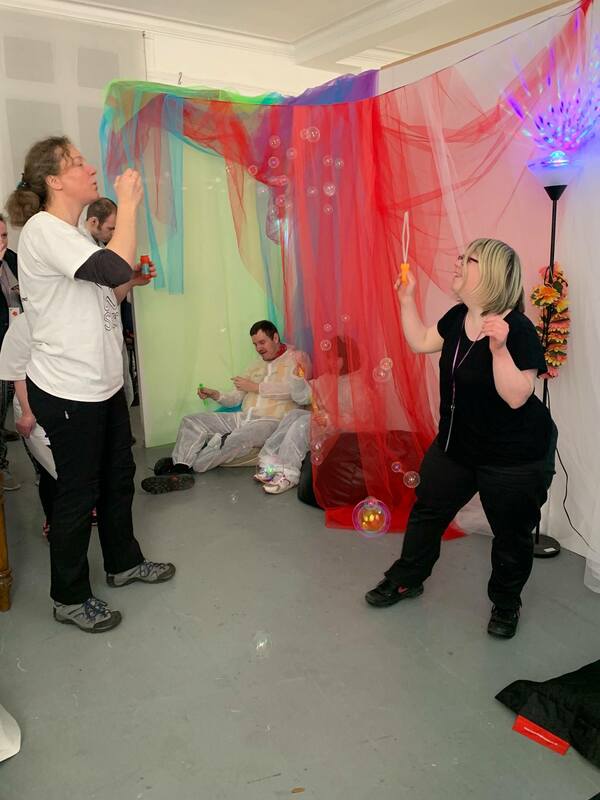 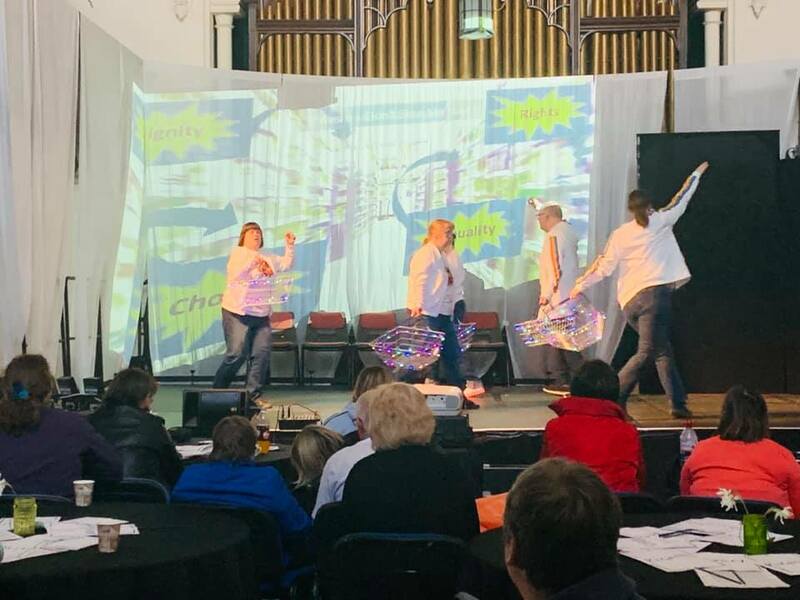 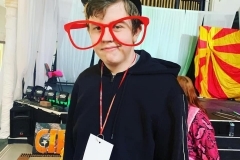 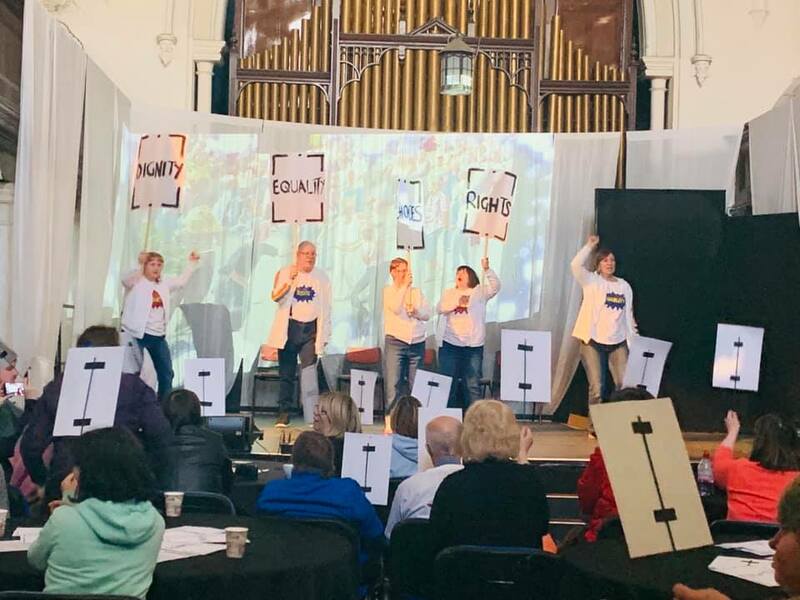 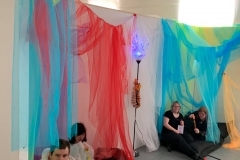 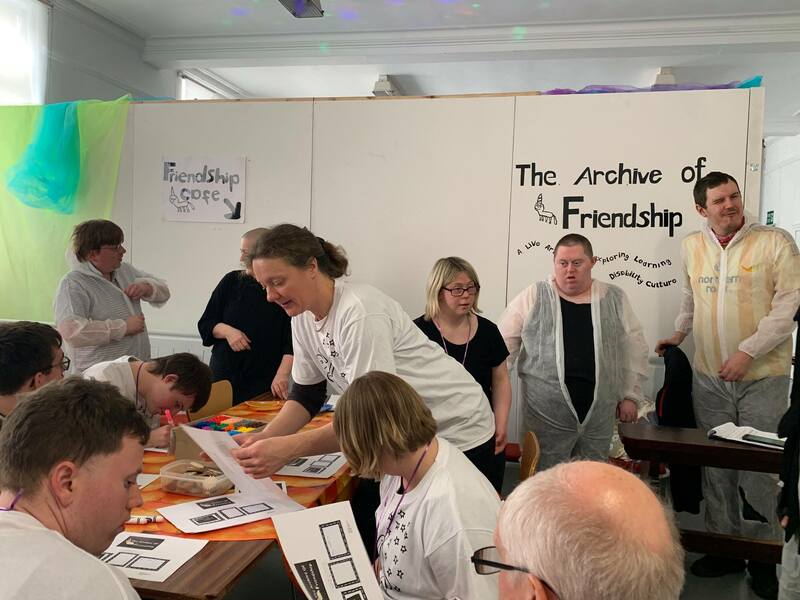 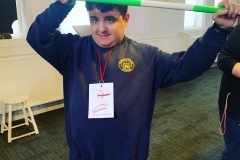 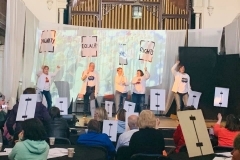 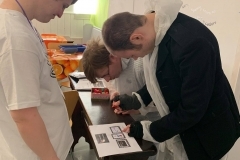 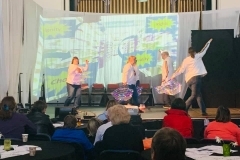 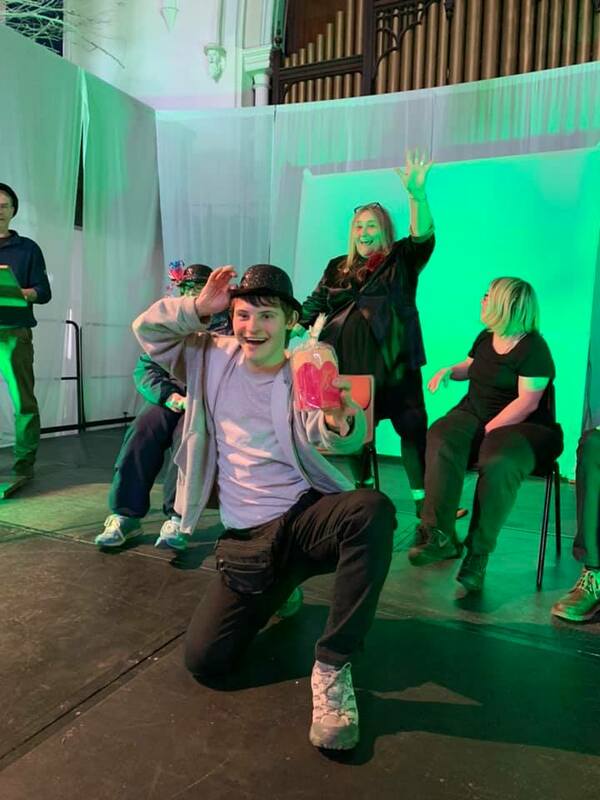 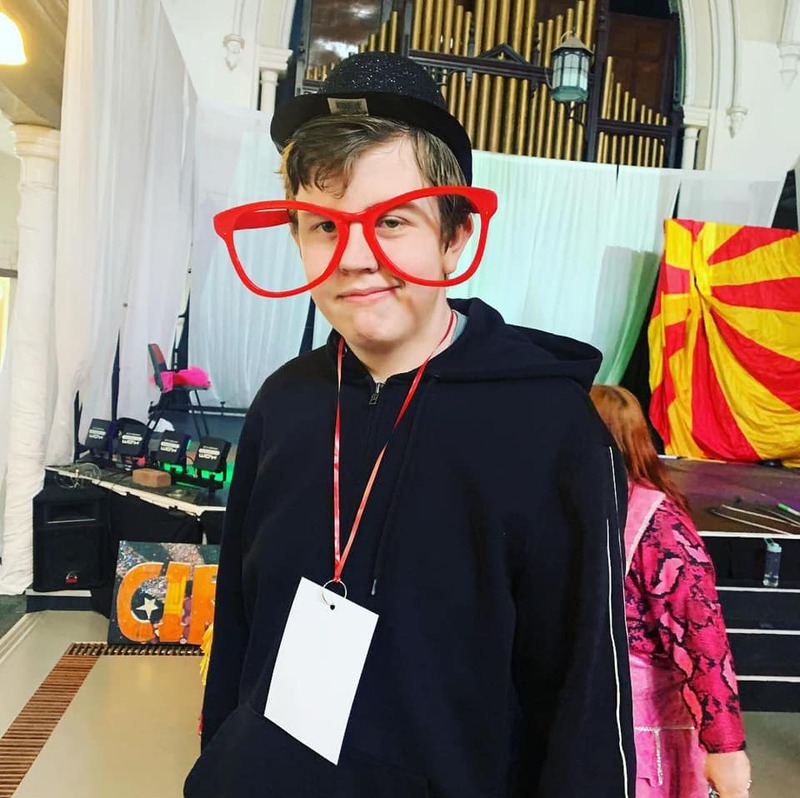 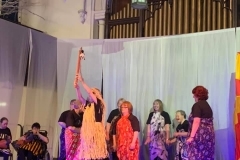 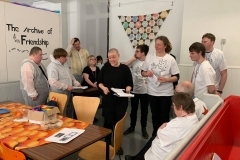 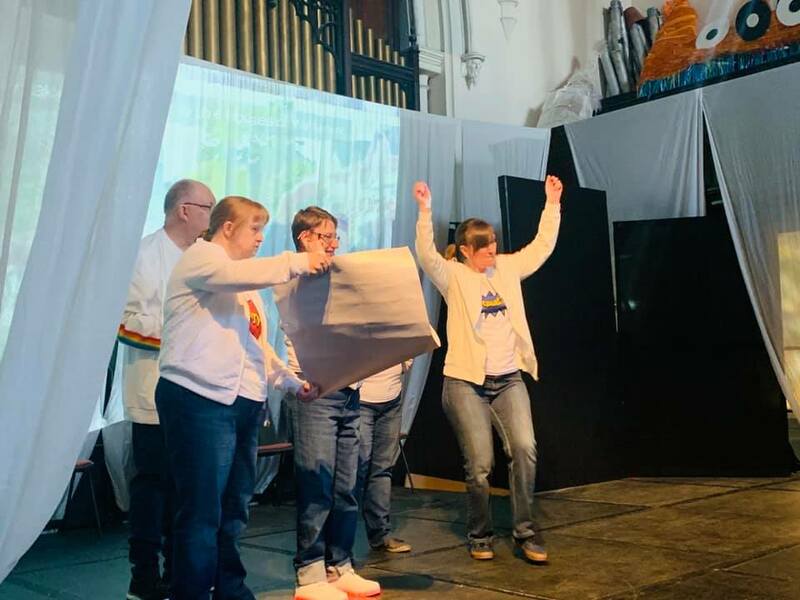 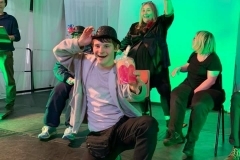 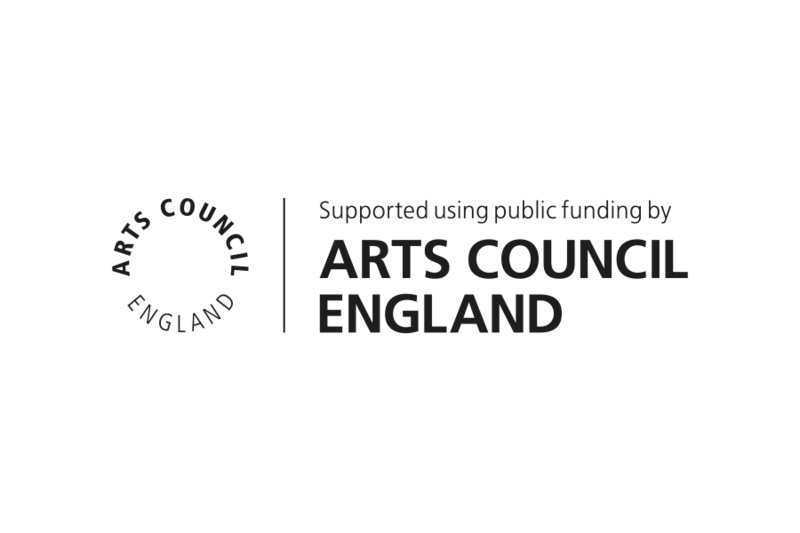 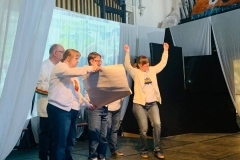 On Thursday 28th March The Stars performed their original show The Archive of Friendship, telling stories about the culture of Headway Arts through an interactive installation. 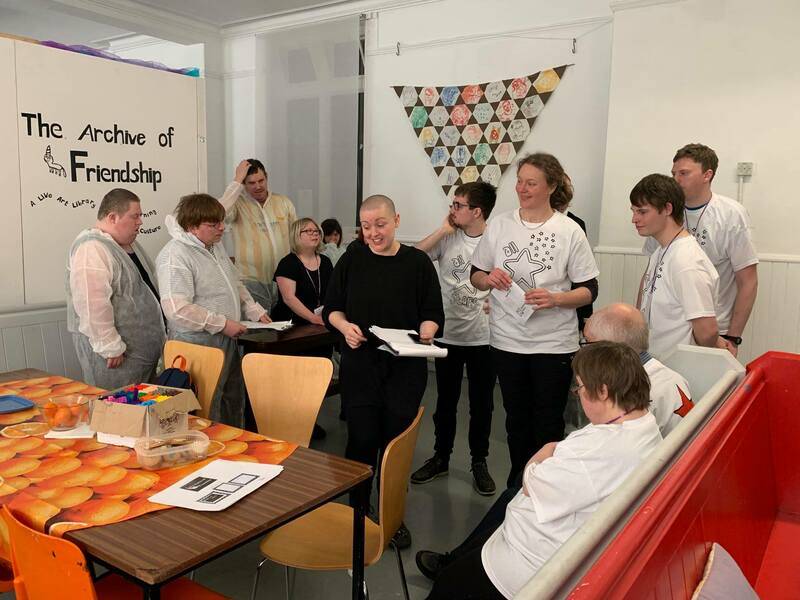 The audience were invited to walk through an archive of pictures, sounds and smells to then create their own response to their culture. 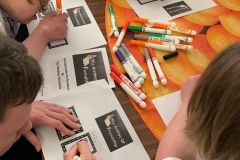 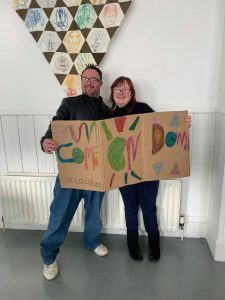 The participants helped to create a mind-map of what learning disability culture means to them through drawings and writing down their feelings. 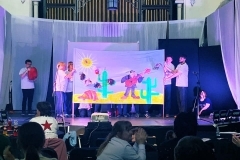 See the gallery for audience reactions and contributions to the performance. 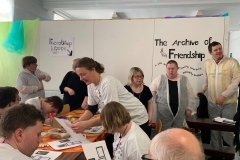 The Stars worked with associate artist Lady Kitt over six weeks to create The Archive of Friendship for Come On Down 2019.